LEXINGTON, Ky. (Oct. 17, 2018) — Imagine you’re trying to carry on a conversation with a friend: You can clearly envision the sentence in your mind, the carefully constructed thoughts and words are all there. But, as soon as the words reach your lips, they sound wrong. In fact, what you are now verbalizing sounds nothing like the thought in your head at all. For many people who survive a stroke or traumatic brain injury, this is just a snippet in a day in the life of living with aphasia. Aphasia is an acquired language disorder usually resulting from a stroke or trauma in the brain’s dominant hemisphere. The condition causes a disconnect in the areas of the brain responsible for language and can impact a person’s ability to speak, read, write, and listen (ranging from very mild to severe). 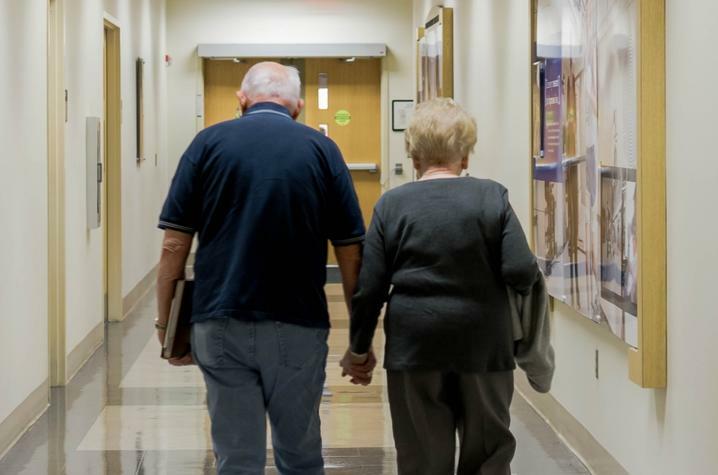 There is no cure for aphasia and most patients struggle with lifelong side effects. 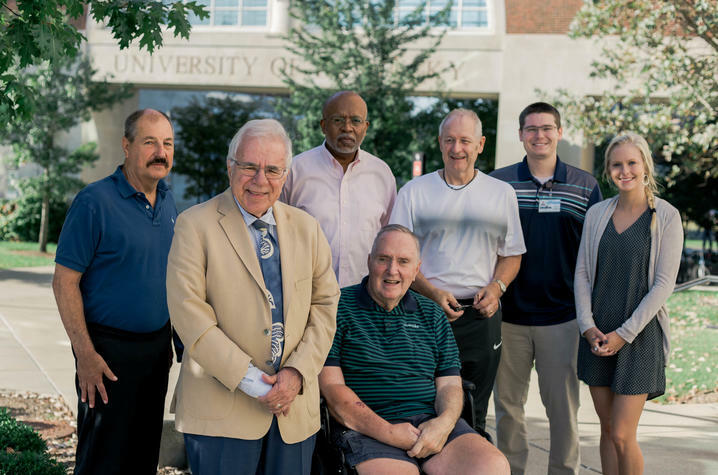 This search to alleviate symptoms and help those affected by aphasia regain language function is where Dr. Robert Marshall, professor in the communications sciences and disorders (CSD) program at the University of Kentucky College of Health Sciences, has dedicated more than 50 years of his life’s work. Marshall has been recognized as a clinician, particularly for his scholarly works on Wernicke’s aphasia (when the ability to grasp the meaning of spoken words and sentences is impaired) and the use of group therapy. His funded research has examined the role of self-correction in recovery from aphasia, efficacy of aphasia treatment, treatment of aphasic naming deficits, and problem solving in individuals with neurological compromise. 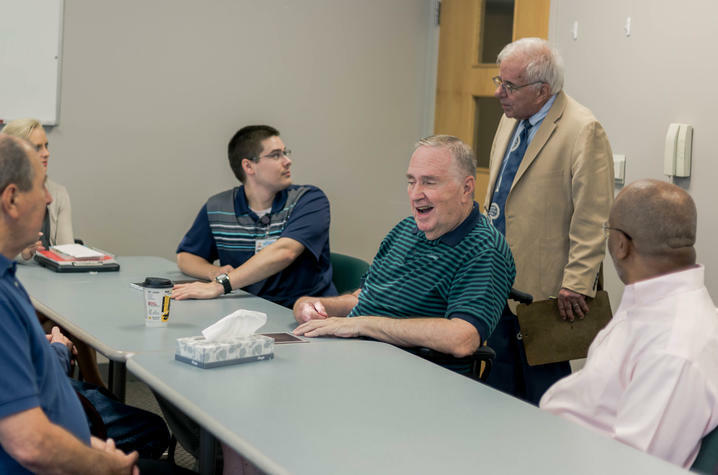 The Aphasia Lab—which is part of the larger CSD Academic Clinic—is a selective program that offers individual and group speech sessions and support for families and their members who suffer from aphasia. There are currently 25 participants in the program ranging in age from 25 to 89 years old. In addition to traditional speech-language interventions, much of the work in the aphasia lab is based on the “life participation approach” (LPAA). This could mean spouses must learn new ways to communicate with their partners or family members can begin advocating for more aphasia awareness within their communities. Deborah Walker’s 25-year-old son Carson started Marshall’s program last year. In 2016, Carson experienced a stroke and is now living with aphasia in the aftermath. 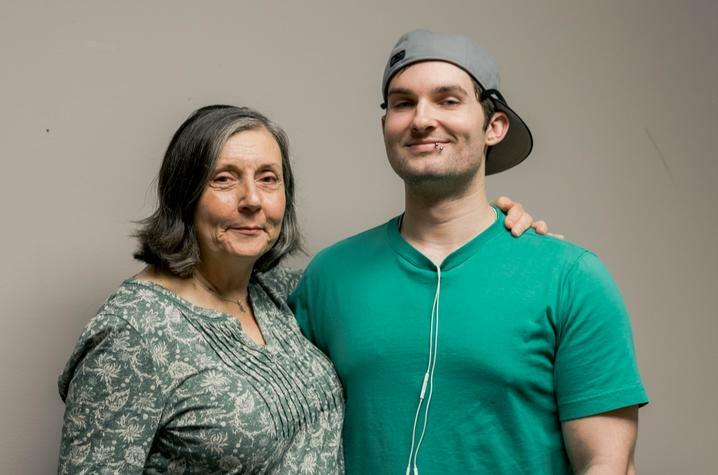 To improve their communication efforts, mother and son both learned sign language. Marshall stressed helping families find this type of new normal is imperative. Too often, people living with aphasia can feel excluded or disconnected from society. At the end of the day, this human connection is what Marshall’s lab seeks to fulfill. Bob Heiple, who attends the same group session as Klinksiek, echoed his friend’s sentiments. Eighty-nine-year-old Audrey Sitzlar has faithfully attended Marshall’s program since its inception more than a decade ago. After her stroke in 2003, she now lives with a more severe form of aphasia affecting her speech, reading and writing.